This year, the ever-expanding IAM community of thinkers will converge upon Barcelona for the fifth annual gathering of an event as unique as the goal it sets itself: to understand the internet. On the weekend of 21-23 March, 2019, in Barcelona, some 400 creative thinkers and leading organisations from all around the world – each in their own way at the forefront of the world’s digital consciousness – will take part in IAM’s annual event to tackle this year’s research theme: The Quantumness of Archipelagos, and its principal open question: How can we decelerate, decolonise, and debrief the coevolution of the internet(s), digital technologies, and societies? Every year since 2015, IAM has brought together a diverse and thought-provoking selection of speakers and participants from the world over who care about the futures of the internet(s) in a bid to develop and update a proposal to design & imagine alternative tomorrows. Year after year IAM edges progressively nearer to its long-term goal for 2050: to envision planetary citizenship protocols (or networks of protocols) that allow humanity to cultivate a collective planetary consciousness. One of the highlights of the program is the unconference: ‘Designing for emerging futures of Planetary Citizenships – 2050’, presented by IAM and the Institute for Advanced Architecture of Catalonia (IAAC) as the first act of the weekend and a teaser of the strategic partnership that will be unveiled later this year, where participants will discuss and share ideas on the desired evolution of the relationship between citizens, the internet(s) and our Planet. 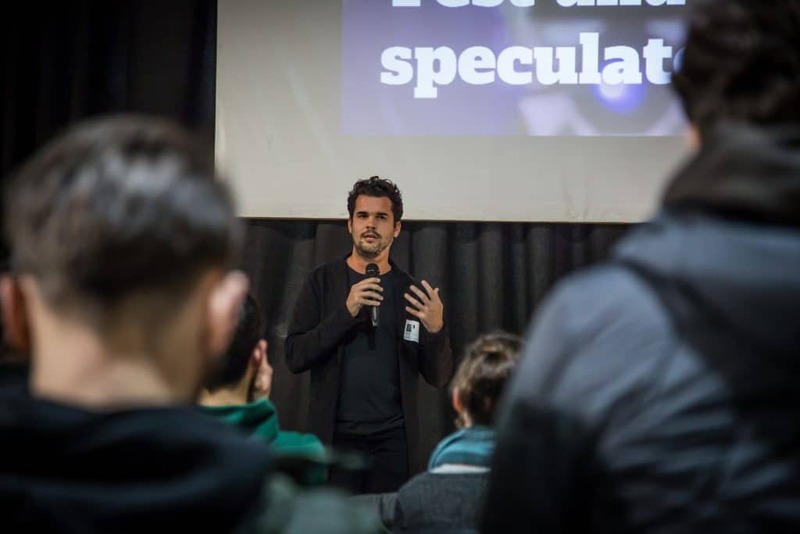 Co-Director of the Master in Design For Emergent Futures, Tomas Diez was a keynote speaker during the IAM Weekend IAM program. Under the theme, ‘Decelerating Ecosystems’ he spoke about Fab City, Fab Lab Barcelona and Design for Emergent Futures.